I joined a LAL (Loom-A-Long), something I have never done before. But I was interested in improving my color blocking skills. I am pretty happy with the results, though I didn’t follow the pattern completely to the letter. 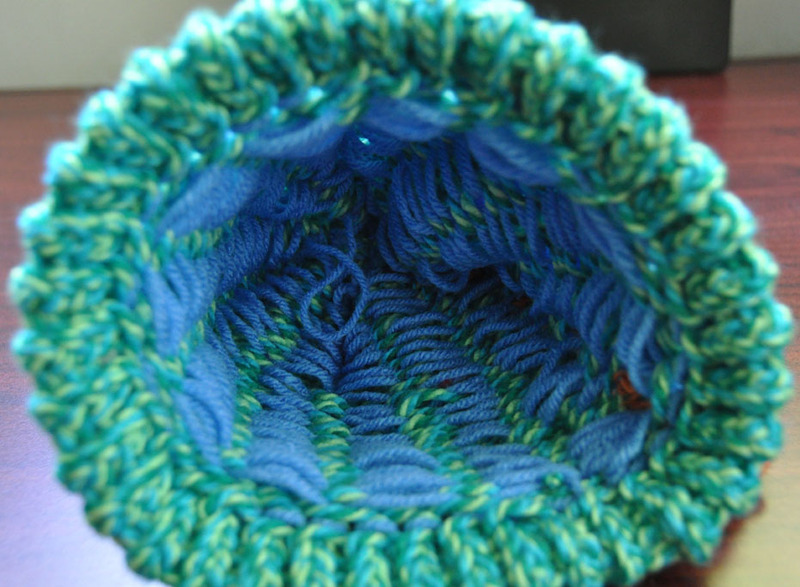 The brim, for instance is different and the actual portion that has the color blocking, I knitted instead of e-wrapped, in fear that the e-wrap stitch would be too loose. 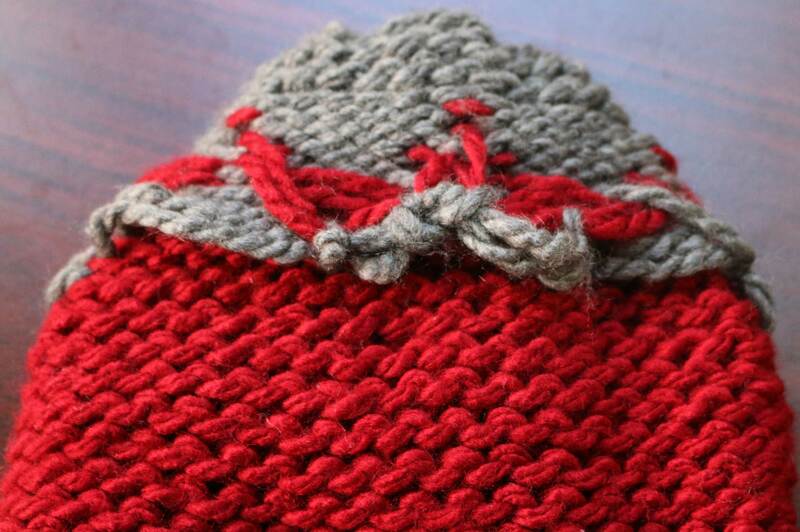 I like the brim, but will probably do the entire hat in one stitch or the other. Now for the big reveal, the inside. In the video tutorial that we followed for the LAL, Tutéate addressed tightening up the loose strings inside. This was my concern for this Dinosaur hat. 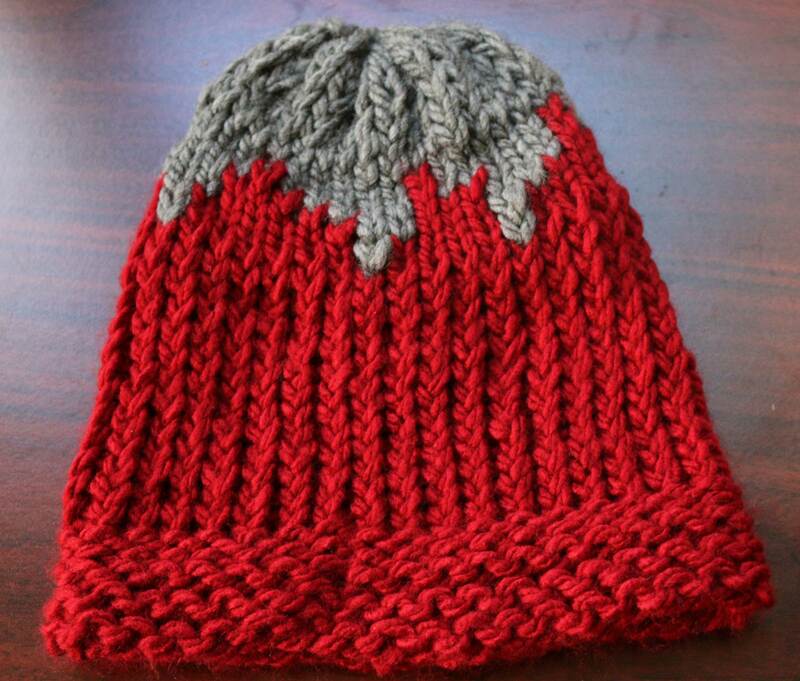 I hope that this hat brings warmth and hope to a young chemo warrior!